It use to be pretty tough to get special characters into your text in AutoCAD. You had to use %% or other tricks to get it done. Some may still use these “inline” tricks or you could use the menus. In addition to using Unicode characters for entering special characters, you can also overscore text, underscore text, or insert a special character by including control information in the text string. Use a pair of percent signs to introduce each control sequence. %%nnn – Draws character number nnn. %%o – Toggles overscoring on and off. %%u – Toggles underscoring on and off. %%d – Draws degrees symbol (°). %%p – Draws plus/minus tolerance symbol (±). %%c – Draws circle diameter dimensioning symbol . What if I want the % sign??? %%% – Draws a single percent sign (%). This is valid for the TEXT command only. Overscoring and underscoring can be in effect at the same time. Both turn off automatically at the end of the text string. You can use the %%nnn control sequence to display special characters using the PostScript fonts. You can also get most of these off the MTEXT menu now. 13 Comments To "AutoCAD Control Codes and Special Text Characters"
You are very true. In addition to using Unicode characters for entering special characters, you can also overscore text, underscore text, or insert a special character by including control information in the text string. Use a pair of percent signs to introduce each control sequence. Great information! We just recently started using these to put registered and trademark symbols in. Found the Alt+(number code) works the best for a consitant way of doing things between applications and conditions. Even works in an attribute dialog box that may not have access to symbols like in multi-line text. One downfall is that some characters do not show up depending on what type of font you are using. Good point on making sure that the special characters print. Also – check your PDF files. I have seen some drop off in PDF’s also. Yes we have seen this too. Our pdf’s will show up with dots by the text that uses these when created through ACAD. I have narrowed it down to the text width. If you make a pdf with say a tahoma font and text width of 1.0, using the dwg to pdf.pc3 will result in dots in the area of the text that is using the symbol. Change the text width to .999 or smaller and it will show up. So far with testing I have had it work. I have only tested Tahoma font with this though. With the dots, the preview will show up like it will print. But going back and opening your PDF will result in dots. I would just like to thank you for helping with the PDF-dot issue. I do almost all of my plotting to PDF, and typically use the percent sign, plus/minus, etc. and have never figured out how to get around the dots. Why isn’t this something AutoCAD and Adobe get corrected? PS-I use Arial font and the text width works. what about the codes for fractions? What are they and where can I locate them? That is all very helpful, but how do you get the counter bore symbol. in other programs it is %%w but it is not working. If you want a % symbol, simply type the % symbol. Don’t type %%%. %%w is not a functional code in AutoCAD. Recently I have noticed an issue with AutoCAD 2013 Education Version. The problem is with special characters used in notes used with leaders. 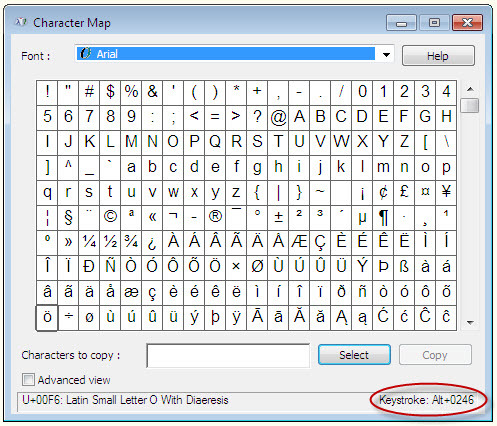 I can create the special characters with the Character Map but I can not copy. The Character Map dialog box is supposed to disappear from the screen with you select the copy box. I have tried to copy and paste them to the Symbols “add a symbol” but it doesn’t show up. Could this version of AutoCAD have some issues that can be addressed with a service pack? I want the list of Mtext codes for AutoCAD 2011 So that I can Determine the value/phrase used in my drawings.